Most mathematicians adopt a pragmatic attitude and see themselves as the explorers of this mathematical world" whose existence they don't have any wish to question, and whose structure they uncover by a mixture of intuition, not so foreign from poetical desire", and of a great deal of rationality requiring intense periods of concentration. Each generation builds a mental picture" of their own understanding of this world and constructs more and more penetrating mental tools to explore previously hidden aspects of that reality. Ideas contained in the "realm of spirituality" are attached to "matter states" and are building, "the pyramidal structure." This is a map of the expression into matter all thing that are born in mind. These ideals affect the direction of our evolution. They affect our spiritual inclination. With the spiritual inclination already existing, the tip of the pyramid, all matter states and densities there of, contain the essence of this spirituality. "The Emotions" are "matter based defined" yet are quite fluid. They can be very restrictive in our perspective of the spiritual world, yet, they are inspirational enough to transform our baser matter to spiritual clarity. "The intellect" is a finer form of the matter states, yet, it is closer to the spiritual domain. His was the best single sentence summing up the concept, as we were to use it that evening: Intuition is the process of getting to a destination without knowing the route. He also added: Sometimes you did not even know you wanted to get there. I've modified the words a bit, but that's the essence of what he said. It was a definition that was so appreciated, you could hear several audible hhhhmmmmms of recognition from the audience. I am always interested in "the flavour history" gives as we look back in time. If one always looked to the past as they looked at the cosmos what will become of the future? This has be stereotypically been instilled in our humanities thinking. That there is a brighter light that shines and all it's shadows cast are of some "truer reality" then the one that is now. LIC(Long Island City) Gnomon Header above. Of course it would not be without understanding certain things about "Plato's character" that I should show how we can deposit "these historical packets of energy" in that history. That it is deeply entrenched in "current sociological thinking" as we make our way through the days of our existence. A kind of "collective unconscious." As archiac as this "method of measure" may seem, it has captured our fascination in more ways then one. How could one not perceive geometry at work after seeing what the sun can do in regards to these calendars? 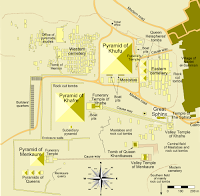 One could of course propose the Egyptian new year, where the dead are placed, in relation to the pyramid, and the design of that history according to the clock, but then ,it may be in contradiction to what is current. Even more ancient, the Medicine Wheels. 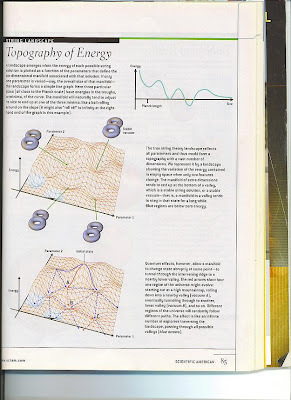 So looking at the blog entry of Stefan of Backreaction, and "Bee's mathematical universe," I would say these are "deeply connected with each other" that I would have to indeed say something. I see Bee beat me too it. Q9:"People see all sorts of things when they look at the SUN and Solar Calendars"
Time and how one views the cosmos for sure. Capturing the understanding of Hooft, Heisenberg and others, you see Stefan working the principals "outside of himself" with his environment. Inside the universe. Like, how one can "view the cosmos" or how "dimensionality is reduced to the now." The evidence of "the beginning" is not gone? The shadows reveal this, and so it reveals the mathematics of this universe. Or, how the matter of the diamond has it's structure implanted in the mapping of it's features? I expound further in Shadow Dancing in the Light and "The Artist In Us All"
This Nobel Prize award was of interest to me. "for having laid the foundations of mechanism design theory"
I first started to come to the conclusion in regards to the "social construct" and the relationship it had to the mathematical environmental when I saw the movie, "The Beautiful Mind." It was based on the story of John Nash. It was then that I realized that a "mathematical mind," although one which had it's fair share of problems, as in John Nash's case, was one deeply entrenched in finding "the pattern." The pattern is a interesting conclusion "about reality." It is about the math that lies at it's basis. It was at this point being involved in Province wide negotiation, that I thought of trying to implement some of "this strategy" albeit unbeknownst to others, by bringing in factors that would change and alter the current negotiation practises. I was not sure I understood the full implication of game theory or it's structure, but it was important enough to see if it's applicability could influence the current negotiation process. This was trying to implement the mathematics lying at the basis of reality and bringing new directions to a current process currently at the hands of two opposing bodies. It is not important how I went about this, just that such applicability is brought back into the social sphere for demonstrative purposes. I am currently working on this. Models built for thought progression were important features in understanding what any theory does for us as we want to progress our views of the world we live in. No matter how abstract the idea, if it can lead one to new perceptions and bring new perspective to the way in which we see the world then it is not the illusions with which we wish to further perpetuate, but the understanding of our place in the world. And now, I said, let me show in a figure how far our nature is enlightened or unenlightened: --Behold! human beings living in a underground den, which has a mouth open towards the light and reaching all along the den; here they have been from their childhood, and have their legs and necks chained so that they cannot move, and can only see before them, being prevented by the chains from turning round their heads. Above and behind them a fire is blazing at a distance, and between the fire and the prisoners there is a raised way; and you will see, if you look, a low wall built along the way, like the screen which marionette players have in front of them, over which they show the puppets. This above was taken from an earlier post so one understands that what is being expounded in shadow dancing, is derived from a better understanding of the analogy of the cave. And again below it is not without the understanding of the depth of of what is implicate din Plato's cave that we struggle to define aspects of the reality . See more on Deep Play. This post entry under the heading of the "Artist in us All," is a culmination of information that I had transmitted on Bee's discussion board, under the heading of Art and Communication. The whole jest is a preclude to a much more detailed analysis of Art and Science and the following post to this one, prepares the readers for a understanding that I myself strongly advocate. But before I move to far ahead of myself, let me take you to the post entries that will prepare one for future considerations. A final aspect of beauty that was often cited by readers might be called "deep play". This is the sense that we are actively engaged with something outside ourselves that is responding to us - rather than watching a game of our own construction or watching nature from a detached distance. The timing of "preparing the format" asks that any given time be considered as the source from which we will move human experiences further along it's path to growth. We can "remove names" and this exercise will be of value to who ever inserts their name or responds accordingly to the questions posted in that same name. This is the valuation of interplay that is part of our own gathering system. This post then is the template for what is happening within your own self. A "perceived constant" is being examined in relation to your contact with reality? What ever that is for you at this time? Susskind did exactly this, by envisioning a rubber band? Some may laugh, yet, it is a mathematical insight. During the later half of the 1950’s, Maurits Cornelius Escher received a letter from Lionel and Roger Penrose. This letter consisted of a report by the father and son team that focused on impossible figures. By this time, Escher had begun exploring impossible worlds. He had recently produced the lithograph Belvedere based on the “rib-cube,” an impossible cuboid named by Escher (Teuber 161). However, the letter by the Penroses, which would later appear in the British Journal of Psychology, enlightened Escher to two new impossible objects; the Penrose triangle and the Penrose stairs. With these figures, Escher went on to create further impossible worlds that break the laws of three-dimensional space, mystify one’s mind, and give a window to the artist heart. But on the other hand you speak about the longevity of the musician, in place of what artist can do, but I would remind you of Dali's picture "on time" as a masterpiece? Not least to mention his geometrical views on the hypercube and the crucification? Number theory is the type of math that describes the swirl in the head of a sunflower and the curve of a chambered nautilus. Bhargava says it's also hidden in the rhythms of classical Indian music, which is both mathematical and improvisational. He sees close links between his two loves -- both create beauty and elegance by weaving together seemingly unconnected ideas. There is a "inherent beauty in the mathematics" when we think about this music? Not to mention the relationship of the "Monte Carlo methods" in relation to the cubists. Here is another quote you might recognize in relation to a form of mathematics. It is how Srinivasa Ramanujan received his "inspiration" and the place from which this mathematics emerged, that few people realize is of significance. From "a chaotic mind" it resolved itself "to the subconscious" that we realize the pattern that is inherent underneath. Part of the understanding here is our connection to the "universality of the subconscious mind" and it's reservoir of impressions received, as we try to express our perspective of the world. "How deep" is your subconscious mind, that you would not understand the complexity of all "self evident information" makes you who you are? That this interplay that takes place with you and your environment, is an exchange that is taking place not only on a "deductive and inductive Archean constant" that all of us would then be writing the "postulate of experience" here? It is not about God, but how we dress up the mathematics in our everyday lives. Then, we have to decipher the context of the mathematics other then the "resolved experience-science" we have in moving mathematics forward? To Srinivasa Ramanujan it was about his dream and how he received his messages, yet, how absurd that such a place as the subconscious we could receive such inspiration? It is not about "heliocentrism" that we are, "the centre of the universe," but rather, that we are connected to the universe in such a way? Finally, we also hope that this series furthers the discussion regarding the nature and function of 'the mandala'. In the spiritual traditions from which Jung borrowed the term, it is not the SYMMETRY of mandalas that is all-important, as Jung later led us to believe. It is their capacity to reveal the asymmetry that resides at the very heart of symmetry. By offering a new view about how consciousness itself is structured - in a fundamentally paradoxical fashion - and how these structurings are reflected in principles according to which the mandala is organized, we are able in this series to show how personality itself may be thought of as having an essentially 'liminocentric' design. The "source of symmetry" is our perfection with the universal inherent in each of us. Our delving into this large pool is in part the effort of our recordings, that what is gained in experience is mapped on the brain's structure, and beyond that. This interplay has to have consequence? Not just in the development of the brain's structure, but far beyond what we see of the physical body. From a psychological perspective and I am no expert for sure, but our present state of consciousness has to be supported in one way or another. Animus and Anima, depending on that gender? An "all wise mother figure" who appears in your dream( your higher self speaking to you), or for those men, who recognize that the higher self is talking to them in a way that they have their "wise white haired person offering insight." But before I loose you here, I wanted to show you that on first appearance Jean Shinoda Bolen is telling a story. This is the artist aspect of herself, showing the depth of our natures. She is showing it in a way that is helping people identify aspects of themself. Showing underlying causes for such "fantasy development." Richards Wagners's Ring of Nibelung Jean Shinoda Bolen, M.D. Ring of Power was interesting. Strange that we could have seen A Jungian Understanding of the Wagner's Ring cycle, portrayed in todays world and how could have this been accomplished. But by re-introducing a fictional story and embuing it with the archetypal structures of what Jean Shinoda Bolen called, "The Abandon Child, The Authoritarian Father, and the Disempowered Feminine." Under the search of "Jean Shinoda Bolen on my site." One reason the "nav bar" was of good use. If you have a search feature otherwise? It's never clear from all appearances, yet there is a deeper understanding of what is culminating in a person's experiential life. I follow your thoughts on Bohm for I read him a long time ago too, and somehow it seems fitting that art and communication, might have incorporated "language as a developmental phase" to seeing reality, in new ways? Sort of like being initiated into string theory, to help get past some of the blockages that are stopping science from developing further? These blockages manifest within the self, and become impediments to our experience and progression to further learning. This is not to say learning stops. It is the "greatest effort" that what has become apparent in the state of self evidential experience, is the potential to great transport human experience beyond the self's own limitations. 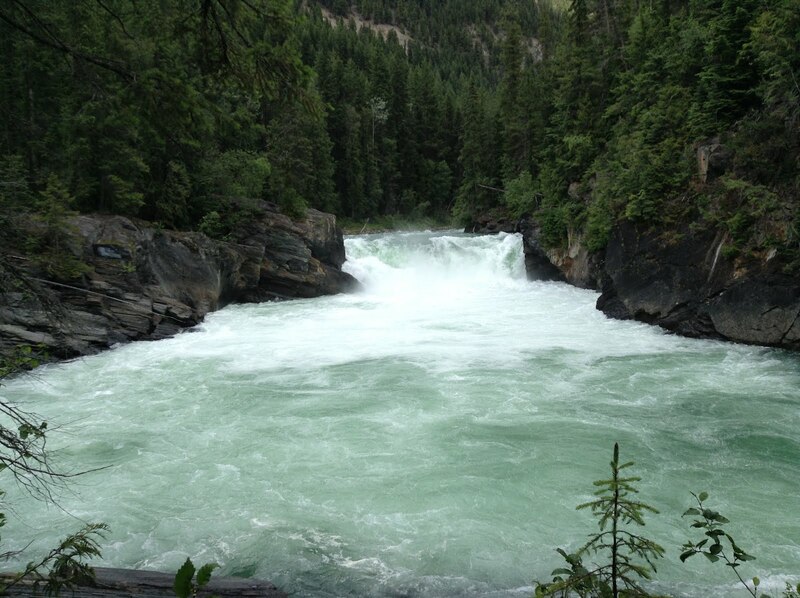 Provides for, the "intuitive leaps" necessary once the basis of this experience is resolved. How deep this blockages goes, that the subconscious mind will allow images to transport the self to a future place for consideration. Bee:It might not be an universally applicable source of inspiration? To Hardy I don't think that mattered one bit. It is just part of the process to understanding how we humans like to fabricate our realities. Yet, there is a universal connection that we have that is a very consistent. One in relation to the artist in us all. We are the best predictors of ourselves and our experiential conditions that we put forward. A model perhaps in developmental insight as to what we have to do in science? If any such resolve is not forthcoming in our "supposed awake reality," then there is a culminating effect that someone(archetypal) is speaking to us to help us resolve these disputes. "Our universality" is there in us all. I see no race religion, or gender. So like Jean above we write our own story, and show the affect our experiential life has on the new conditions if not resolved. So I apply these things to our current search for understanding the math creation (calculus for Newton)and the derivatives needed to push insight further into "new realms of experience." Understanding that human experience is "cradling the times for breakthroughs to further understanding" is the incubation period necessary for preparing these intuitive leaps and future predictability. Here 50% or 100% provides for whether the human side of us really understands and knows what is necessary for us to progress. How would the probability of all human experiences to know to draw for one own postulate, "the self evident" and then understand that the leap to growth in experiences requires this and this? While such is th evastness of the human experience it is not without our understanding that each of us has repercussions of actions to every decision we make. I cannot tell which, only that this probability can be played out time and time again and it will result in the growth of each of us at varying times. There is a constancy that is being talked about here that can be debated, but as far as I can tell this is the postulate that has been written. I used this quote in "your other thread" for a reason. Images? Think about this for a minute. If one can "translate" and transfer the image mathematically for each other, then what has happened? A level of communication not understood before? Miller has since moved away from conventional history of science, having become interested in visual imagery through reading the German-language papers of Einstein, Heisenberg and Schrödinger - "people who were concerned with visualization and visualizability". Philosophy was an integral part of the German school system in the early 1900s, Miller explains, and German school pupils were thoroughly trained in the philosophy of Immanuel Kant. When I referred to Susskind I did so for a reason as well. This is the culmination of what mathematically is derived. Thus, the image is a culmination, yet, it is only a "shadow of the truth." I used Magritte, When is a Pipe a Pipe painting, to illustrate this. Hawking shows this in his book as well. You have to remember Plato's analogy was even used by Gerardus t'Hooft. See here and Heisenberg so you are in good company. P.A.M. Dirac was a gifted mathematical inventor who saw how quantum mechanics rises from classical mechanics, yet transcends it. Dirac did not know of the Bohr atom when he arrived at Cambridge in 1923; yet he quickly began contributing to the mathematical structure demanded by quantum phenomena, discovering the connection between the Poisson bracket and the commutator of Heisenberg”s matrix representation of observables. Then, with careful attention to its classical antecedent, Dirac found the equation governing the evolution of the matrix elements which had eluded Heisenberg in the operator ihdA/dt = [A,H]. He then went on to discover spinors in describing the relativistic electron and antimatter implied by the quantum in relativistic space-time. Dirac conceived the many-time formulation of relativistic quantum mechanics and laid the foundations of the Feynman path integral thereby opening the way to quantum electrodynamics. Newton synthesized the foundations of classical mechanics. In fitting kinship, Dirac, who did the equivalent for quantum mechanics, filled the chair at Cambridge held by Newton. Some people are better suited to visualization then others, and this comes out in some mathematicians and in artists as I had shown you of Escher and Dali. I could never judge Dali for his character an his life, but I can say how important he tried to push the envelope. Maybe for all his indulges, he thought if he could think of the cross and his geometrically tendency he might have found some relation? Dyson, one of the most highly-regarded scientists of his time, poignantly informed the young man that his findings into the distribution of prime numbers corresponded with the spacing and distribution of energy levels of a higher-ordered quantum state. So one tends to get in this mode of thinking, that the way in which one measures "aspects of reality" is somehow couched in the mathematics of a kind, and unbeknownst to us, a hoped a pattern is revealed? Artist's impression of the setup. To have gone to such extremes of thinking of the reality as one would of the elemental design, one hopes to see the "new perspective" will encourage new pathways to develping new phenomenological directions. As absurd as this sounds, the current framework did not support the existing structure any longer in regards to sciences development, so theoretical insight needed to be pushed. New ways in which we could look at reality could provide for new experimental considerations? It would not be unlike Bohm to introduce his system, and then ask us to think i the possible new way in which language has somehow been transformed. Does it not seem by our very nature, language accustoms perspective to have it's natural physical gestures as expression? Not just physical, but mental as well? Of course I am not qualified to have an opinion about whether the landscape is of value or not. That there are people on two sides that have differing opinions, and based on what they have as proof to the contrary, of one or another, is whether the issue is ready for a forgone conclusion? Whether the person in association is a forgone conclusion. I will take your word for it - I must admit I was not aware of the breadth of his works. However, Nima’s position on the anthropic landscape of ST is enough for me to warn any student about his views. My research concerns string theory. At present I am interested in finding an explicit expression for the n-loop superstring amplitude and proving that it is finite. My field of research is particle theory, more specifically string theory. I am also interested in the recent results of Seiberg and Witten in supersymmetric field theories. So by looking at a statement of a person, I wondered, has such a conclusion been reached and support by documentation that will help me decide? I continue to find it shocking that the many journalists who have been writing stories like this don’t seem to be able to locate any leading particle theorist other than Gross willing to publicly say that this is just not science. For more about this controversy, take a look at the talks by Nima Arkani-Hamed given today at the Jerusalem Winter School on the topic of “The Landscape and the LHC”. The first of these was nearly an hour and a half of general anthropic landscape philosophy without any real content. It was repeatedly interrupted by challenges from a couple people in the audience, I think David Gross and Nati Seiberg. Unfortunately one couldn’t really hear the questions they were asking, just Arkani-Hamed’s responses. I only had time today to look at the beginning part of the second talk, which was about the idea of split supersymmetry. Update: One of the more unusual aspects of this story is that, while much of the particle theory establishment is giving in to irrationality, Lubos Motl is here the voice of reason. I completely agree with his recent comments on this article. For some discussion of the relation of this to the Intelligent Design debate, see remarks by David Heddle and by Jonathan Witt of the Discovery Institute. A sphere with three handles (and three holes), i.e., a genus-3 torus. This is false. The proof of finiteness, to all orders, is in quite solid shape. Explicit formulæ are currently known only up to 3-loop order, and the methods used to write down those formulæ clearly don’t generalize beyond 3 loops. What’s certainly not clear (since you asked a very technical question, you will forgive me if my response is rather technical) is that, beyond 3 loops, the superstring measure over supermoduli space can be “pushed forward” to a measure over the moduli space of ordinary Riemann surfaces. It was a nontrivial (and, to many of us, somewhat surprising) result of d’Hoker and Phong that this does hold true at genus-2 and -3. So by following the conversation I meet up with was offered as evidence, this then, leads me to follow up in even greater depth. How can one give a person such a title of "in question," based on what another posts, as to their characrter of study? Tammaso:However, Nima’s position on the anthropic landscape of ST is enough for me to warn any student about his views. I wonder if you had “more information,” if this might change your statement above, and conclusion, you may have drawn from seeing another view? One you might not of seen before? Is mathematical consistency of value to you when it is developing? So with a certain knowledge already gain from following other discussions I am quick to ask if such a link to another is good enough for assigning credibility to another person. Especially one who holds a "view point" other then one held by Peter Woit. After all is Peter Woit not a mathematics man? I am really asking. So based on this assumption(what I ask others not to do) about Peter Woit or string theorist while having a basis in mathematics. I am asking, that if such a development that is, "current and consistent in mathematics" why would this contradict and qualify any individual "to other then" what mathematics requires to move forward. To try and attempt too, "connect to reality" in a phenomenological way? The basis of my insight is in fact current collider technologies, and the relationship I see to bulk production gravitons. If Gr is an outcome of String theory then, any pocket universe that demonstrates some mathematical consistency should, be of relevances in one's decision? It is always a work in progress that such questions continue to push me forward. In that process I "vaguely recall" that Jacques did not think the association to modular form in terms of the genus figure could ever be related to that pocket universe? I must say to you that in my case I am asking of Calabi Yau's, can have some predictability to how universe selection is accomplished and thus any steady development in mathematics pushing that landscape to credibility? At the RHIC beamline at Brookhaven National Laboratory, the three-story-tall PHENIX muon spectrometers, designed and built by Los Alamos scientists in collaboration with other scientists from around the world, witness collisions between gold ions (red/yellow, approaching from the right) and deuterons (white, coming in from the left). Two doughnut-shaped magnets (green) steer the ions in these 100-GeV-per-nucleon beams, traveling at 0.9999 the speed of light, into head-on collisions. In such high-energy collisions, the quarks and gluons that make up the protons and neutrons of the colliding particles interact directly. The collision shown here releases pions (purple), which are only partially stable; some of them decay into muons (white). 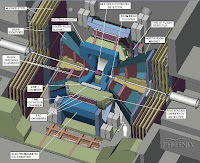 Most of the pions are absorbed inside the hadron absorber (the green magnet). The detector panels (brown) track the muons. By studying the decay products of these collisions and their behavior, we learn about the fundamental physical laws governing the strong interactions in the universe. These laws and their effects were much more obvious in the high-energy state of the very early universe. The same physical laws hold just as much sway today, but their effects are much more subtle in the low-energy states in which we find most matter now. In order to tease out their effects and patterns, we attempt to recreate those earlier, high-energy and high-density conditions at places like RHIC and study them with detectors like the PHENIX. Muon: An elementary particle with negative electric charge and a spin of ½. It has a lifetime of 2.2 µs, longer than any other unstable lepton, meson, or baryon except for the neutron. Because their interactions are very similar to those of the electron, a muon can be thought of as a much heavier version of the electron. Due to their greater mass, muons do not emit as much bremsstrahlung radiation; consequently, they are much more penetrating than electrons. "Liesez Euler, Liesez Euler, c'est notre maître à tous"
I should say here that the post by Guest post: Marni D. Sheppeard, “Is Category Theory Useful ?” over at A Quantum Diaries Survivor, continues to invoke my minds journey into the abstract spaces of mathematics. As a lay person being introduced to the strange world of mathematics it is always interesting to me in the way one can see in abstract processes. Definition: A network is a figure made up of points (vertices) connected by non-intersecting curves (arcs). Definition: A vertex is called odd if it has an odd number of arcs leading to it, other wise it is called even. Definition: An Euler path is a continuous path that passes through every arc once and only once. Theorem: If a network has more than two odd vertices, it does not have an Euler path. Theorem: If a network has two or less odd vertices, it has at least one Euler path. 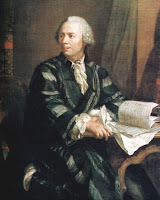 Leonhard Paul Euler (pronounced Oiler; IPA [ˈɔʏlɐ]) (April 15, 1707 – September 18 [O.S. September 7] 1783) was a pioneering Swiss mathematician and physicist, who spent most of his life in Russia and Germany. He published more papers than any other mathematician of his time. Euler made important discoveries in fields as diverse as calculus and graph theory. He also introduced much of the modern mathematical terminology and notation, particularly for mathematical analysis, such as the notion of a mathematical function. He is also renowned for his work in mechanics, optics, and astronomy. You have to understand that as a lay person, my education is obtained through the internet. This is not without years of study(many books) in a lot of areas, that I could be said I am in a profession of anything, other then the student, who likes to learn a lot. To find connections between the "real world" and what a lot think of as "to abstract to be real." Any such expansionary mode of thinking, if not understood, as in the Case of Riemann's hypothesis seen in relation to Ulam's Spiral, one might have never understood the use of "Pascal's triangle" as well. These are "base systems of mathematics" that are describing processes in nature?